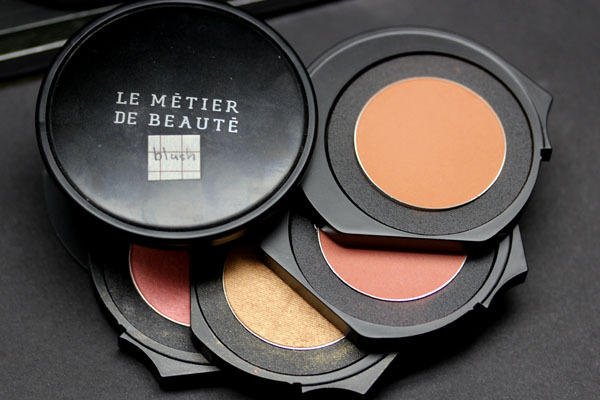 The latest Le Métier de Beauté offering is the Blush Kaleidoscope. It was introduced last year as a counter exclusive, but has recently been inducted into the permanent collection (yay!). 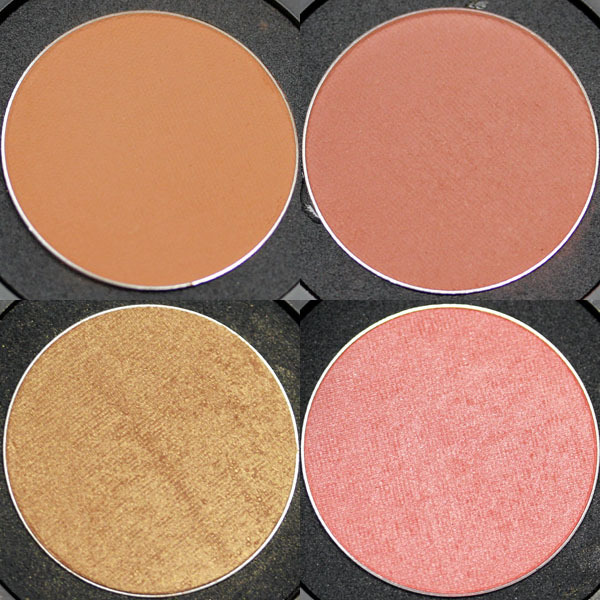 The blush kaleidoscope contains four shades of varying textures: a matte apricot orange, a matte coral pink, a shimmering gold, and a light shimmering pink. 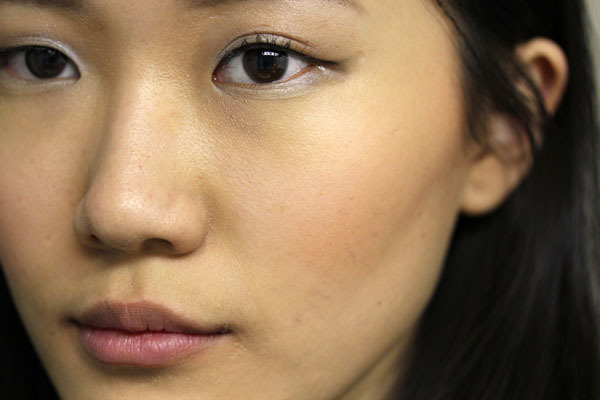 If the Flawless Face Kit is all you need for a basic face, the Blush Kit is all you need for beautiful cheeks. 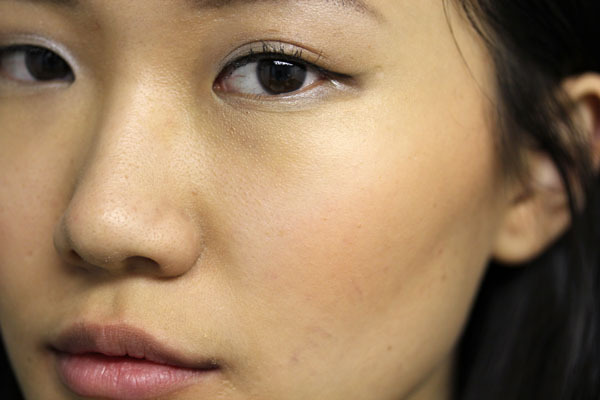 It was difficult to photograph the nuances of tone when it's on the cheeks. This post by Cafe Makeup should give a good indication of how layering transforms the colors. I do think that even without layering, the colors in the kit are magnificent on its own and worth the investment. The textures of these powders are finely milled, super soft, easily blendable and (of course) layerable. It is the stuff of a blush fiend's dreams. Le Métier de Beauté Blush Kaleidoscope retails for $95 and is available at Bergdorf Goodman, Neiman Marcus, Nordstrom, and Saks Fifth Avenue. So pretty! I really want this because I feel like it'd be a great way to take multiple blushes with me when I travel, but also just because it's pretty. However, I also feel like I own enough blush and probably have similar colors. Sigh. LOVE the coral-pink blush! I love the look of Tier 2+3 on you the best <3. I am unnaturally excited about this. 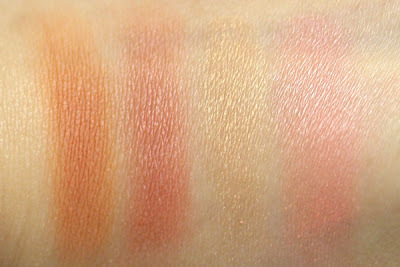 Ohhh I want this so badly; it's a shame since I already have an extensive collection of blushes. Sigh. Well, I'll check if our ONLY counter in France has it. I love the Tier 1+3 on you. This set is PRETTY!!! For my skin tone I can probably not wear tier 3 on its own, but everything else would be great alone, and tier 3 would be pretty layered over all of them! I consider the price reasonable for 4 beautiful blushes too! GAAH I love how Ramatuelle looks on you. That is all. SO PRETTY. Ok, I think I need this! I got this one last thursday, and it looks so amazing with Mum's the Word lip creme. It is my favorite summer cute girl look so far. a shout out from Atascocita Texas! Just wanted to mention keep up the good job!